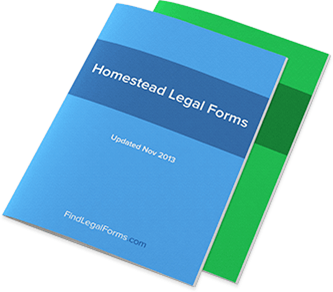 All About Homestead Legal Forms ~ Homesteading has been around for a really long time and its use has gone from meaning a free land program by the US government to living self sufficiently off the land. The awareness of the dangers of environment change and the realization that all of us should look to use as little resources as possible is one of the fueling forces behind this movement. I am of course talking about the rise of homesteading across the nation. As the concept of homesteading is spreading across the United States, more and more people are interested in acquiring the necessary skills that will let them live off the land in a wholesome and self reliant manner. There are a number of online forums and websites that are run by enthusiasts like you and often a ton of valuable information is available out there. There are certain legal things that you should be aware of before you take the plunge and move to your own homestead. It is necessary to fill out a homestead declaration form specific to your state so that you are legally protected from certain situations. The form is simple enough to fill and there are certain states where simply living at your homestead as a primary residence is enough for you to enjoy the same legal privileges. However you still must fill out the form. The government has limited the maximum cost of these forms including getting them notarized to a maximum of $25 so that it is easy for anyone and everyone to fill out these forms. A homestead basically refers to a primary dwelling of any kind and includes houses, condos and even boats. Once you are sure that you have filled out the form correctly then you have to submit it to the county clerk’s office after paying the small application fees. Make sure you renew your homestead declaration form on time to continue to enjoy the legal privileges. This is a simple yet essential step that you need to take care of before you invest time and energy in your homestead. These regulations have been drafted for your own protection and even though they may seem like a chore, they are beneficial in the long run. It is an important life decision for many people as they look to leave their old life behind and try and set up a self sustaining homestead for themselves. It makes it all the more important that you set off on the correct foot with everything in place. The homestead declaration form itself is available on the internet. There may be small variations from state to state so make sure that you are downloading the correct one for you. It is wonderful to experience life on a homestead. You live life so much closer to nature in a healthier and natural way. The happiness indexes are of the charts for people who make the initially difficult choice of homesteading. The reason for this choice can be many. Some people want to do it as an environmentally conscious decision, other want to do it because they feel their skill set is more suited to that type of living and still others chose to look at it as an adventure worth embarking on. As the homesteading movement gathers momentum across the nation it is necessary that people be aware of their legal responsibilities with regard to their homestead. The legal form is simple enough to fill and there are certain states where simply living at your homestead as a primary residence is enough for you to enjoy the same legal privileges. However you still must fill out the homestead declaration form. Legal registration of your homestead declares that this is your primary place of residence and protects it against foreclosure by the bank in certain situations. The forms can be filled yourself although it is advisable to take the help of someone who is well versed in reading and explaining to you the finer points of the document. It makes it all the more important that you set off on the correct foot with all the legal nitty gritties in place. Homestead Protection by definition refers to a legal act that has been legislated in order to protect homesteads, or, personally owned residences, from creditors, property taxes, and any disputes, which may arise following the death of a homeowner spouse. A number of states within the United States have separate state statutes, each of which offers varying benefits and challenges to the homeowner. It is said that homestead protection laws take their roots from the economic depression in the 19th century, during which many residences were forcibly trespassed upon and taken over illegally when the owner was unable to bear the burden of taxation. 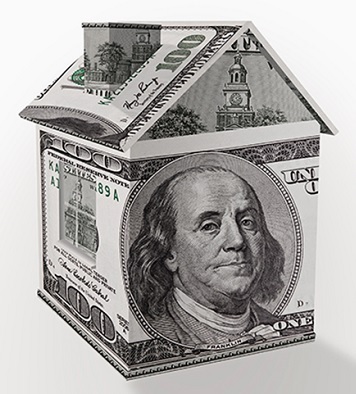 Some of the main features of the homestead protection or exemption laws include providing a widowed spouse with shelter, exemption from having to pay property taxes on a personally-owned home, the prevention of “forced sales” of a residence, and enables a tax-exempted homeowner to vote on property tax. A primary limitation of homestead protection is that its benefits are limited to the state over which it has legal jurisdiction. 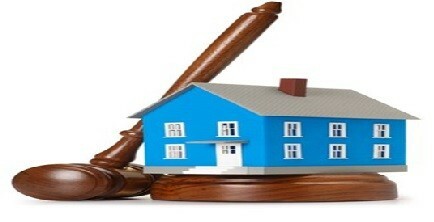 Another important limitation is that only one property belonging to an individual will be liable for homestead protection; therefore single or primary property owners will be most benefited, while those who have legal ownership over multiple properties will have to decide over which to call their primary property. It is only this property, which will receive exemption under the Homestead Act; others will be taxable by law. In some states, it is also mandatory for homeowners to file a claim for homestead protection personally, as it is not automatically managed. Also in some states, the homestead protection will not apply to those properties, which have been abandoned by their legal homeowners. In context with the states that are known to provide the most protection to homeowners, the states of South Dakota, Kansas, Iowa, Florida, Texas, and Oklahoma offer the broadest protection, i.e. they offer the highest value of property, which can be protected from taxation via the Homestead Act. The state of California provides protection of up to $75,000 for single homeowners, $100,000 for married couples, and $175,000 for homeowners who are senior citizens i.e. older than 65, or those who are legally disabled. The state of Texas on the other hand, does not have a dollar value limit on homeowner’s property and instead, grants an automatic exemption for homesteads not exceeding the area of 10 acres or 4.0 hectares within a municipality, 100 acres or 40 hectares for those in a rural homestead, and 200 acres or 81 hectares for a family. Homestead for Disabled or Elderly Persons. The first offers automatic protection of up to $125,000 for homeowners and their family who must live in the home and consider it to be their primary residence in order to be eligible for this benefit. The second refers to automatic protection of up to $500,000 for all owners; in order to receive this equity, homeowners must file a Declaration of Homestead with the Registry of Deeds. The third refers to homeowners above the age of 62 or older, which includes those who are considered disabled. SSI disability requirements must be met and the concerned person must filed a Declaration of Homestead with the Registry of Deeds; upon being considered eligible, the person receives up to $500,000 per owner or $1,000,000 for a couple.